LOS ANGELES, CA—In a move sure to rock both the tactical and cybergoth club rave scenes to their core, 5.11 has officially unveiled plans to acquire and resurrect Los Angeles-based streetwear company JNCO. Made popular in the mid to late 90s by what can only be described as a complete and total abandonment of style and taste, JNCO finally closed its doors late last year, but the brand may yet see new life under industry pioneers 5.11. 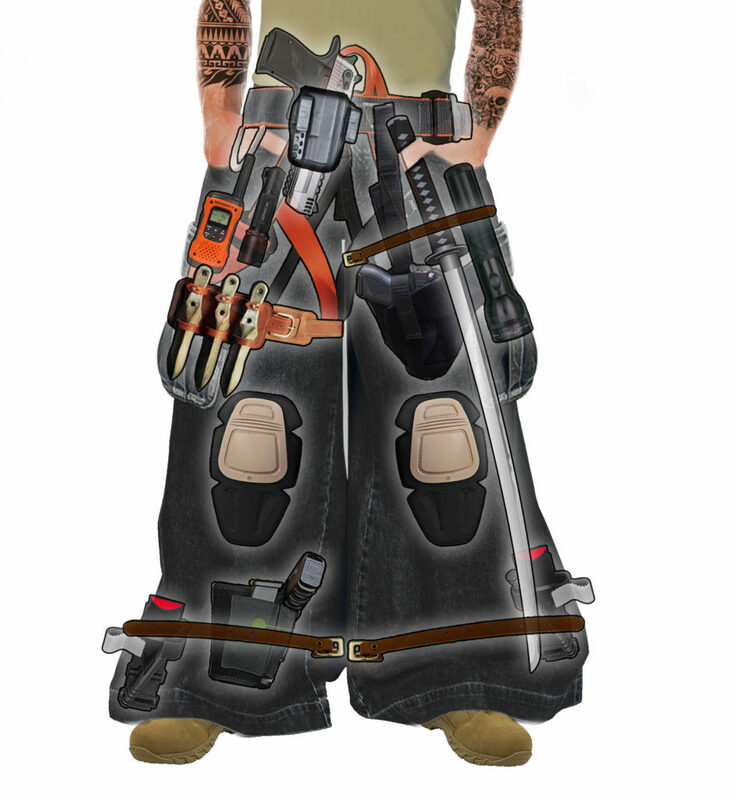 While it remains to be seen whether or not investing in dead fashion trends will prove profitable for tactical garment makers, JNCO’s denim gluttony is certainly capable of holding a multitude of useful emergency items that might otherwise be left at home in lesser trousers. Details have been thus far scarce, but 5.11 has provided an initial artist’s rendition of the end product. We await the denim-clad future with baited breath. Want pants that are already on the market, but won’t make you look like a Final Fantasy character? Peep our guide to the Best Tactical Pants here! The post 5.11 Resurrects Iconic 90s Streetwear Brand JNCO For ‘Unparalleled Capacity’ EDC Pants appeared first on Pew Pew Tactical.